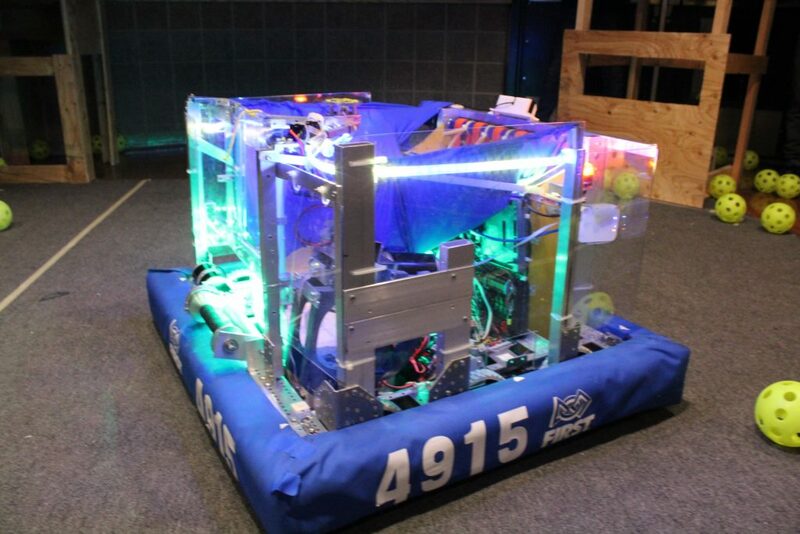 Meet HELIOS: The #16 ranked FRC robot in WA, OR, + AK! HELIOS has taken Spartronics to new heights: We are the #16 ranked team in WA, OR, and AK after our 2017 robotics season. We were ranked #1 team in our district after both our Auburn Mountainview and Glacier Peak competitions. What can your robot HELIOS do? What part of the field do you prefer to play? Shooting right up against the boiler (in the key). We can also retrieve and place gears. What do you do during autonomous? Six-wheel drop-center, belt-driven, 4 CIMs. Nothing fancy, but it gives us plenty of speed and maneuverability on the field. Gear ratio of ~8:1. Have you had any problems with HELIOS? It took a while to tune our launcher, and have had to deal with wear and tear on the launcher flywheel and intake belts. What’s the coolest part of your robot? We’ve got a pretty sweet climber. Why is your robot called HELIOS? Since our first robot – ATLaS – Spartronics (a derivative of Spartans or Sparta, from ancient Greece) decided to relate our robot to Greek Mythology and name our robots after a Greek Goddess or God.